NWCXG ‘Public Liability’ insurance indemnifies the Group and/or Landowner up to a limit of £10,000,000 against claims in relationto NWCX Events. 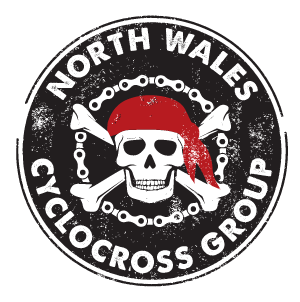 NWCXG insurance DOES NOT provide personal injury cover and race participants are advised to ensure they have suitable personal injury cover. NWCXG insurance DOES NOT provide any level of insurance for members out with the direct participation or organisation of a NWCXL listed race. This includes any incident occurring on roads or areas in the proximity of but not part of the race course. Personal Accident Insurance for Members is NOT Included. All NWCXG Cycling members are encouraged to take out their own Personal Accident Insurance, particularly if Self Employed. NWCXG insurance DOES NOT provide any level of insurance for members outwith the direct participation or organisation of a NWCXL listed race. This includes any incident occurring on roads or areas in the proximity of but not part of the race course. NWCXG Cycling ‘Employers’ Liability’ protects our event organisers (the Employer) in the event of an injury to a race volunteer such as a marshal, who need not necessarily be a member of NWCXG, in circumstances where the volunteer is legally responsible. Under English law a race volunteer can be called an Employee even if they are not paid. Employers’ Liability provides protection to the event organiser as the ‘Employer’ in the event of any volunteers becoming injured during the course of their activities with the event organisation and suing the organiser for negligence. In the event that a claim is against a member of NWCXG Committee, named event organiser or race official as an individual, rather than as a representative of an event, then NWCXG provides to that individual the benefit of ‘Directors & Officers Liability’ insurance which provides indemnity for individuals acting on behalf of an event held under the auspices of NWCXG. This covers any actual or alleged breach of trust, breach of duty, neglect, error, misleading statement, omission, breach of warranty of authority or other act wrongfully committed or attempted by the Official in the course of performing his/her duties as an Official.